252 Special advisers and Special assistants appointed by Gov. Aminu Tambuwal of Sokoto state have resigned their appointments. Alhaji Ibrahim Haske, a special adviser to the governor and spokesman for all the aides, announced this at a news conference in Sokoto yesterday, saying that their resolve to resign followed Gov. 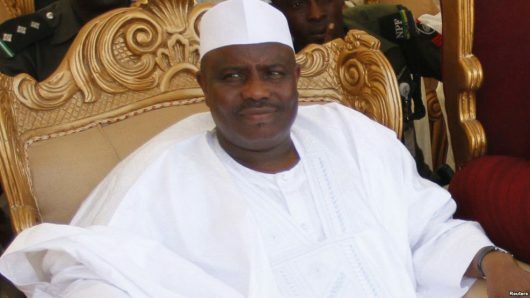 Tambuwal’s defection from the All Progressives Congress (APC) to the opposition Peoples Democratic Party (PDP). “Our appointment is based on the position that APC is the political party governing the state and now that the government belongs to PDP, we have no option other than to resign. “We are bonafide members of APC and our position has always remained same; we therefore resign voluntarily from the PDP government ,” Haske said. Addressing journalists in Sokoto, Hon. Dasuki Haske also said their decision was hinged on their loyalty to the party. “We deem it fit to state categorically that we are not ready to join Governor Tambuwal in his new party (PDP). That was what informed our decision to resign. We will remain in APC and there is no going back. “We are members of APC before taking up our appointments as SAs and it was based on our membership values that we were given such positions. Now, we have resigned because the governor has not performed well since inception to justify our support for him. “We want to assure that we will work for the success of APC in the state come 2019 general election. We will work for the reelection of President Muhammadu Buhari and our state party leader, Senator Aliyu Magatakarda Wamakko,” Haske said. Another speaker, Alhaji Abdullahi Ahmad Sokoto said all the resigned aides will work for the success of APC in the state. He added that the party remained undisputed to beat in any election. Responding, the State APC Chairman, Hon. Isah Achida thanked the affected Special Advisers and Assistants for their loyalty to the party. He also promised them rewards for their steadfastness and commitment to the party. “We thank you for being loyal to the party and we are assuring you of equal treatment as loyal party members. We have taken cognizant of your loyalty and commitment,” Achida assured.